Bernheimer Home, 1922. Library of Congress and New York Public Library Digital Collections. 1 photographic print. 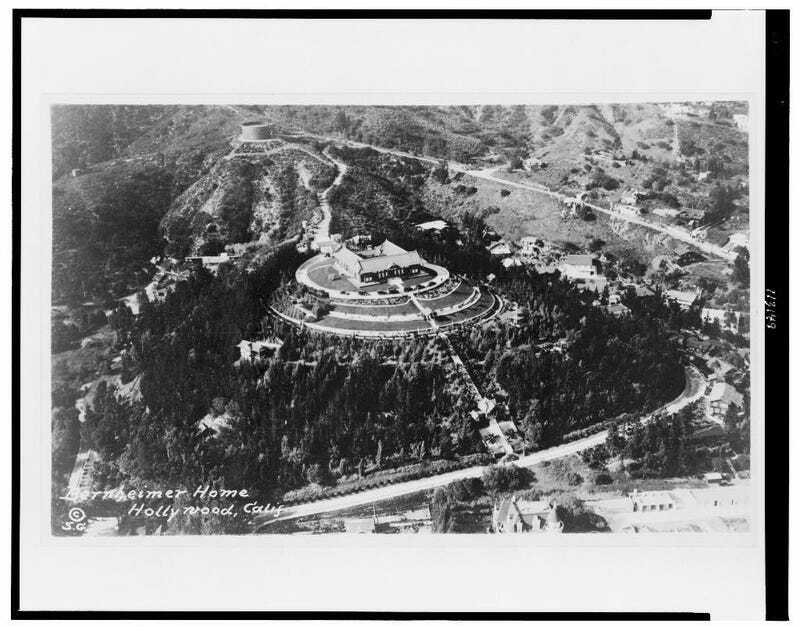 | Aerial view of estate in hills of Hollywood. Unidentified men with horses standing on a hillside with "Hollywoodland" sign in background. 1 negative : nitrate ; 2 1/4 x 2 1/4 inches or smaller. Aerial view of Warner Bros. Studio. Residence of Paul De Longpre, Hollywood, Calif.
I’ve eaten at Barney’s Beanery. Barney&apos;s Beanery, West Hollywood, CA.